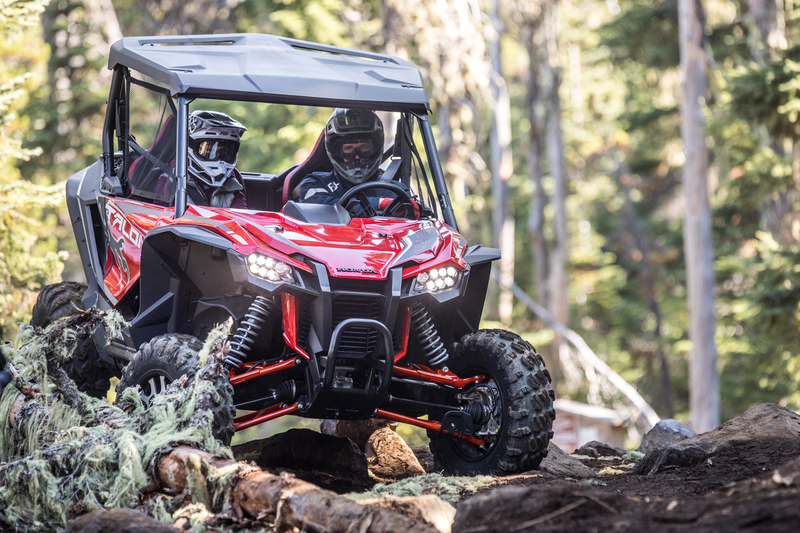 Topline: The fairly new segment of sport UTVs that’s dominated by the likes of the Polaris RZR has a new challenger in the Honda Talon, which is available in two distinct variants. 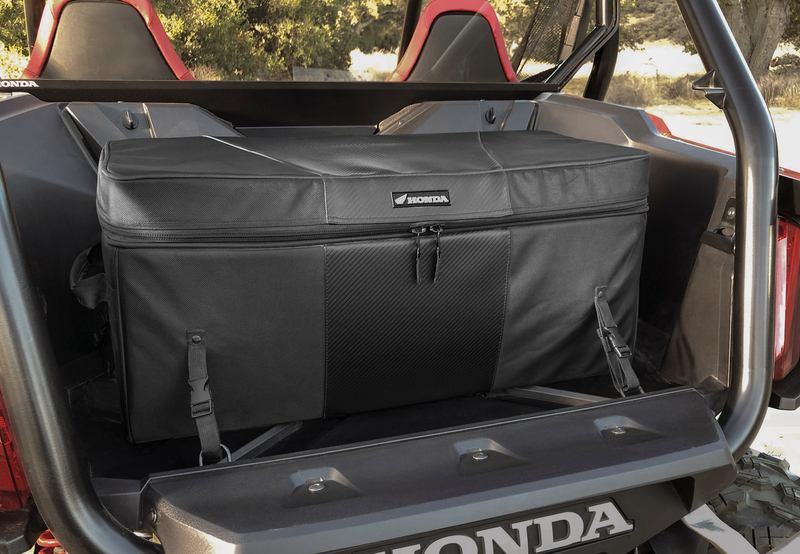 What’s New: The Talon is an all-new product for Honda. The Japanese company is no stranger to off-roaders with two or four wheels, but it’s never built anything quite like this before. 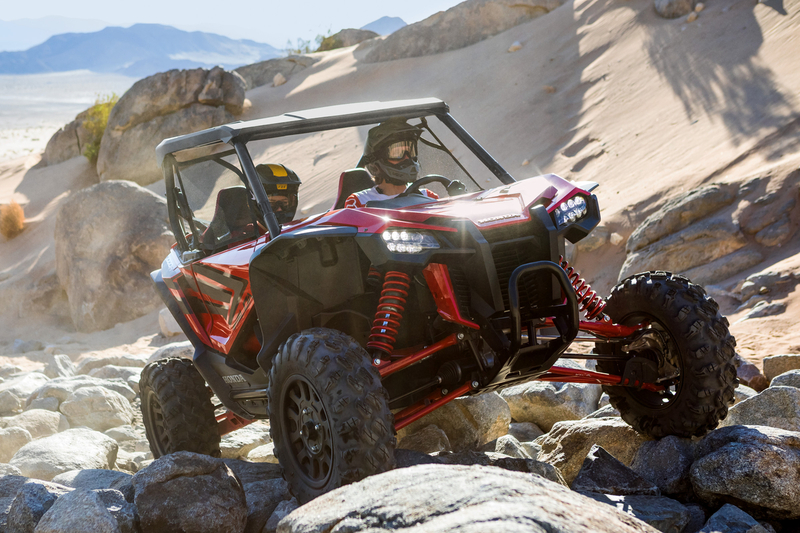 The all-new Talon is about serious off-road performance with a hot engine, long-travel suspension, and a menacing aesthetic. Let’s start with the engine. It’s a 999 cc liquid-cooled parallel twin that makes 104 horsepower. 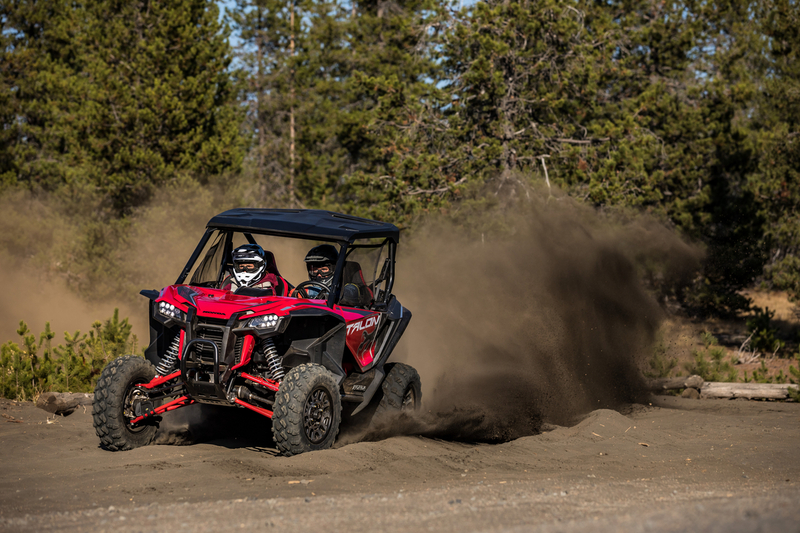 It’s the same motor that powers the utilitarian Pioneer 1000 UTV. That powerplant is linked to a six-speed dual-clutch transmission similar to the one available on the Honda Africa Twin adventure bike. On the Talon, it’s paired to a hi-low sub transmission which technically makes it a 12 speed. It’s automatic, but this thing also has paddle shifters if you want some control over what’s going on with the gearing. Naturally, four-wheel drive is standard and as of this writing, the naturally-aspirated twin is the only engine option. However, we wouldn’t be surprised to see a turbo offered in the future to compete with the higher-performance players in this segment. Also, the Talon is only available as a two-seater for now, but again, we can foresee a four-seater becoming available down the road. So, what’s the difference between the 1000R and the 1000X? Though the two are very similar, the differences lie in the suspension. 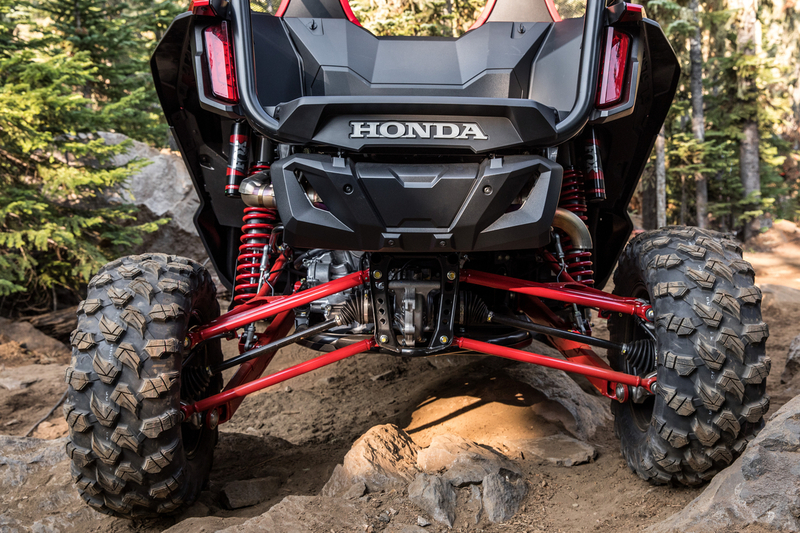 The 1000R has a wider offset up front and longer suspension travel (17.7” in front, 20.1” in back) making it better suited for going over big bumps and high-speed tracking. 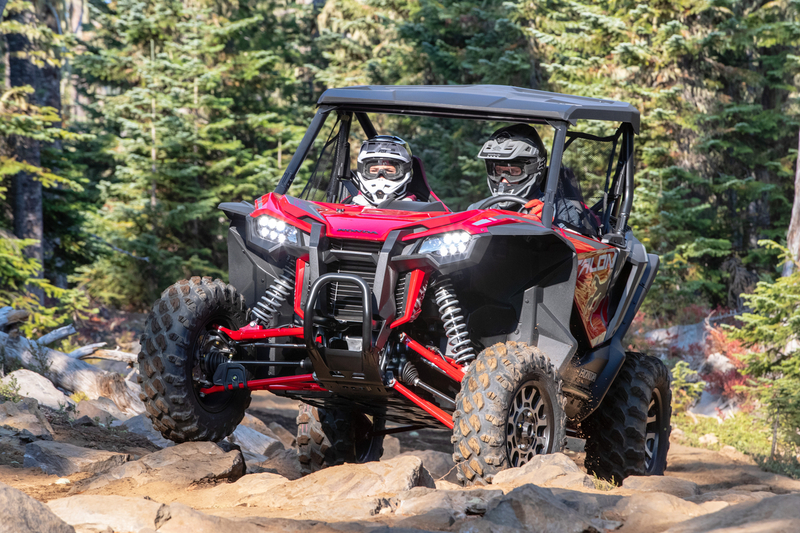 The 1000X has its front wheels closer together with a shorter suspension travel (14.6” in front, 15.1” in back) making it more maneuverable and better suited for precise handling. If you’re doing lower-speed rock climbing or navigating through narrow wooded trails, you want the X. 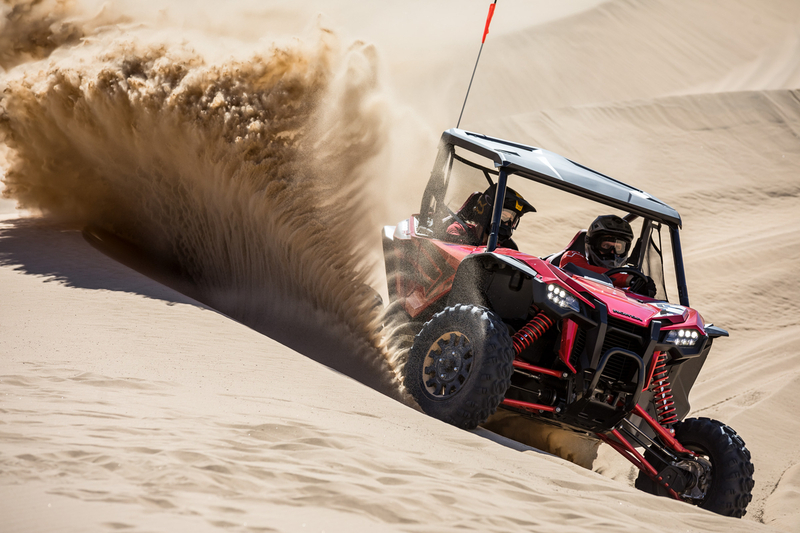 If you want to go fast across sand dunes and have a lot of space, you want the R.
What You Need to Know: Getting into the sport SXS game is a big move for Honda. 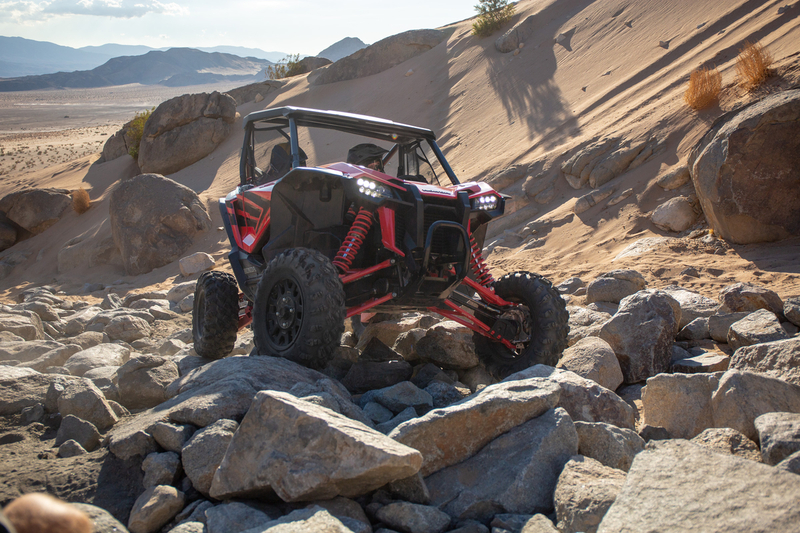 When the Talon hits the market next spring, it will already have some tough competitors like the Polaris RZR XP 1000, the Yamaha YXZ1000R, and the Can-Am Maverick X3. 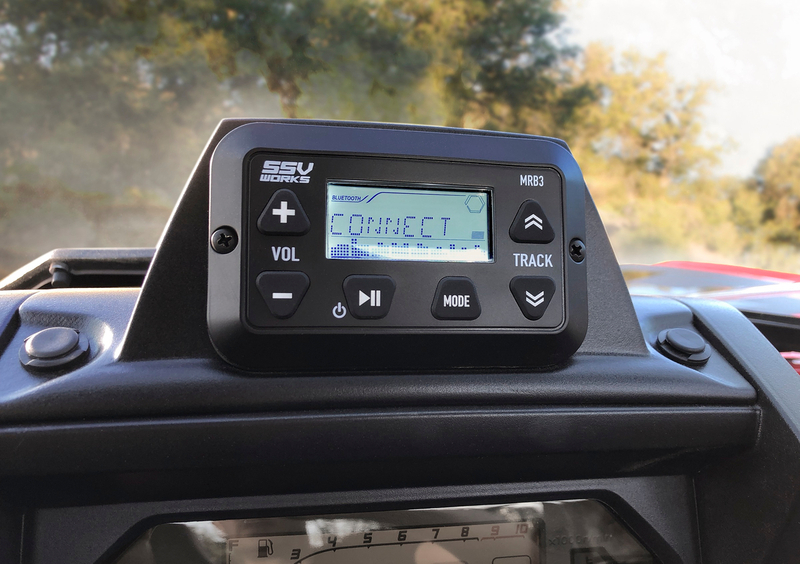 Pricing will be announced in January, and we’re expecting these beasts to start at a little under the $20,000 mark where its closest competitors are priced.